WildCats would like to thank the entire team at Greenville Zoo, including all its visitors, for their most recent donation of US$16,437. Every single cent of this will be channelled into our frontline Amur leopard conservation projects.  This money was raised from ticket sales and membership programmes as part of the zoos “Quarters-for-Conservation” initiative. Greenville staff have done much, much more than simply raise funds. During the course of 2018, WildCats was contacted on several occasions, by Greenville Zoo visitors, who’d been so inspired by keeper talks, and interpretation around the Amur leopard enclosure that they wanted to do more. As a result, we’ve sent more Amur leopard supporter packs to South Carolina than anywhere else in America! Visitors have gone out of their way to contact us online either to purchase or to find out more about how they can help us save Amur leopards in the wild. Including this young lady who was so inspired she dedicated her birthday to Amur leopards! WildCats are strong zoo advocates, who appreciate that without this community, we’d struggle to fund the same quality and quantity of work we do now. Greenville Zoo truly demonstrates the impact that participation in Managed Breeding Programmes has on conservation. Not just as major financial donors, but as an unparalleled platform from which to inspire and educate. Thank you on behalf of the Amur leopards.